Stay close to Penn State University at one of our four modern hotels. Our Happy Valley hotels provide comfortable living spaces designed to make you feel at home. Enjoy multiple restaurants and retail within walking distance to the hotels. Centrally located to Penn State University, University park airport, and many more exciting attractions. Guest comfort and satisfaction is the top priority at Holiday Inn Express. With complimentary hot breakfast, free high-speed Wi-Fi, and spacious rooms, we offer everything guests need to take their stay to the next level. Our Hampton Inn & Suites Williamsburg square provides the spirit of Penn State in their modern guestrooms. Experience Hamptonality with their 100% satisfaction guarantee, complimentary hot breakfast, fitness room, and free wi-fi. Located minutes away from Penn State University, Beaver Stadium, and University Park airport. Relax and enjoy your visit to State College in one of our modern suites! Take a swim in our pool, relax on the patio, or enjoy a complimentary hot breakfast. Whether you are visiting for business or to get away, our spacious suites will deliver the ultimate comfort and amenities. Easily accessible to I-99 and centrally located to multiple State College attractions and Penn State University. Fairfield Inn & Suites is the perfect combination of amenities and accommodations for the ultimate State College experience. 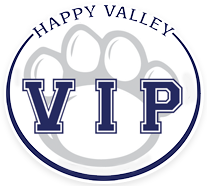 Experience some Happy Valley flavor by visiting Otto’s Pub Brewery or Barrel 21 located within walking distance to the hotel. Relax and unwind in the indoor pool, be productive in the fitness room or rejuvenate with the complimentary hot breakfast. Centrally located to multiple State College attractions. Nestled within the secluded pine trees of Central Pennsylvania, Toftrees Golf Resort offers guests a unique experience with resort-like amenities in a peaceful, natural setting just minutes from downtown State College. Our resort offers full-service amenities; a 4.5 star, 18-hole gold course; and a warm, welcoming staff.